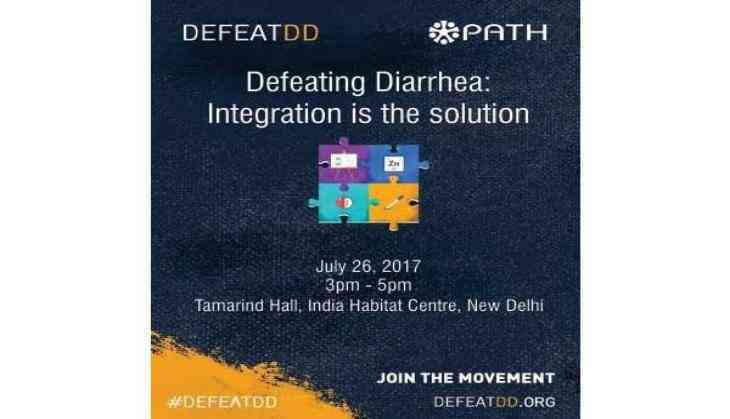 Tomorrow, 26 July at 3:00 p.m. in Tamarind Hall at India Habitat Centre, PATH's Defeat Diarrheal Disease Initiative (DefeatDD) will convene thought leaders on child health in India at an event titled, "Defeating diarrhea: Integration is the solution." On the occasion, Dr. Ganguly, advisor for the Translational Health Science and Technology Institute and Former Director General of the Indian Council of Medical Research, will deliver a keynote address, "Why we should continue to prioritize diarrheal disease." PATH's India Country Program leader Neeraj Jain will moderate a panel discussion: "Integrated approaches to tackle diarrhea." Panelists who are expected to participate include Dr. Ajay Khera and Dr. Pradeep Haldar from the Ministry of Health and Family Welfare for the Government of India; Tinni Sahwney from the Aga Khan Foundation and Dr. O P Singh from Save the Children. The event will showcase a series of new, short videos shot in India to call greater attention to the lifelong impacts of repeated diarrheal illness in children as they grow up, as well as in their families and communities. The series also highlights the momentum and progress in India through the work of groups such as Save the Children's Stop Diarrhoea Initiative, the Aga Khan Development Network (AKDN), Population Services International (PSI), WaterAid, Clinton Health Access Initiative and the Sesame Workshop to inspire advocates nationally and globally. The videos vividly illustrate the challenges that India faces, yet also highlight families and communities who are welcoming simple solutions into their daily lives. With India rolling out the Intensified Diarrhoea Control Fortnight and aligning prevention and treatment for diarrhea in high-burden states, the panelists will discuss the integration of simple solutions to reduce the burden of diarrheal disease and the importance of increased access. Diarrheal disease is the second leading killer disease of children under age five around the world. This crisis is especially critical where safe water, sanitation, and access to urgent medical care are limited. When it doesn't kill, repeated bouts of diarrheal illness can lead to irreversible physical and cognitive stunting, a burden that contributes to keeping families locked in a cycle of poverty and limiting children's ability to reach their full potential. PATH is the leader in global health innovation. An international nonprofit organization, we save lives and improve health, especially among women and children. We accelerate innovation across five platforms - vaccines, drugs, diagnostics, devices and system and service innovations - that harness our entrepreneurial insight, scientific and public health expertise and passion for health equity.